Folded crispy tortilla snacks. Suitable for vegetarians. 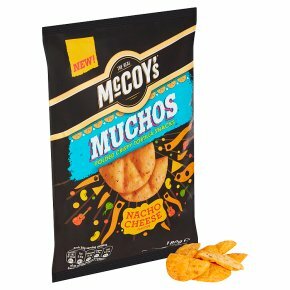 McCoy's Muchos is a new crispy, folded tortilla snack inspired by the street kitchens of Mexico. Every bite is bursting with spices and seasonings for more flavour than a Mexican fiesta. Viva Los Muchos!